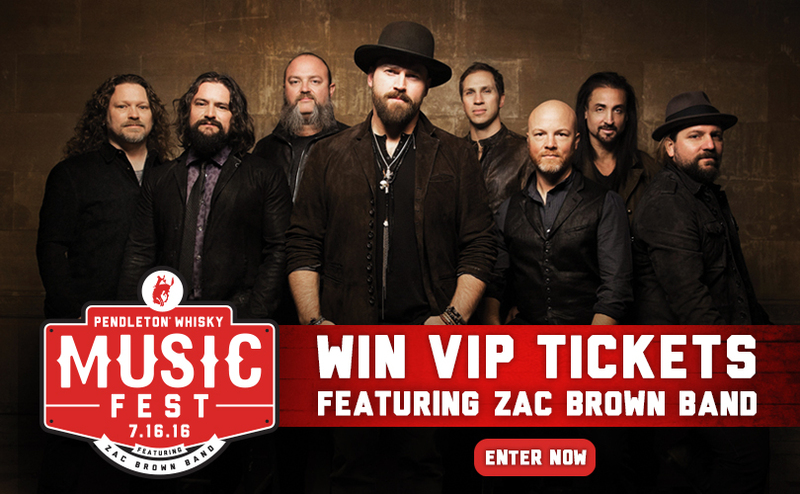 Pendleton Whiskey has a chance for you to enter once to win a VIP trip for two to the Pendleton Whisky Music Festival with FRONT ROW SEATS to see Zac Brown Band and more! Grand Prize: One trip for two to the first ever Pendleton Whisky Music Festival in Pendleton, Oregon. Elements included in the trip will be: round-trip airfare to Pasco, Washington. (from major airport nearest winner’s residence; local ground transportation not included); two nights lodging at the Wildhorse Resort & Casino in Pendleton, Oregon, and two VIP tickets to the Pendleton Whisky Music Fest on July 16; Meals and ground transportation not included. Guest of Grand Prize winner must be 21 years of age or older. TOTAL APPROXIMATE RETAIL VALUE OF GRAND PRIZE: $2,000. HINT: BE AWARE that if you're hoping to win a Second Prize, the residents of Washington state, Oregon state and the state of Idaho are the only ones who will get entries for that, but it does appear any states are eligible to win the grand prize. This Sweepstakes ends on 07/01/16 and you can ENTER ONCE to win.